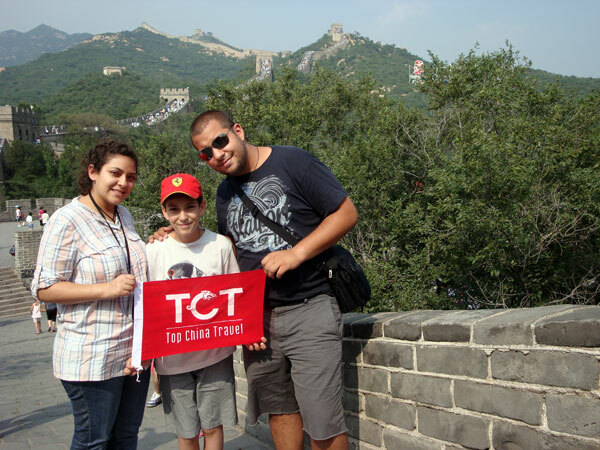 This day tour includes Temple of Heaven, Beijing Zoo(Panda House) and Bell and Drum Tower. In the early morning, you go to Temple of Heaven, then you go Beijing Zoo to see giant panda, last you go to Bell and Drum Tower. Temple of Heaven is located at Dongcheng district, Beijing, close to the Forbidden City. It is first built in 1420 for emperors to worship heaven, and covers an area of 2,730,000 square meters. Temple of Heaven, is the umbrella name of the Circular Mound Altar(圜丘坛: yuanqie tan)and Altar of Prayer for Good Harvests(祈谷坛: Qigu tan), and has four gates in the east, west, south and north sides. The temple consists of inner altar and outer altar, and its main buildings are mostly in the inner altar, like Hall of Prayer for Good Harvests(祈年殿: Qinian dian), the Imperial Vault of Heaven(皇穹宇: Huangqiong yu), the Circular Mound Altar(圜丘坛: yuanqie tan), which are laid in the central axis. Subway: take subway line 5 and get off at Tiantan dongmen station, and get out from exit A, then walk to the east gate. To the west gate: No. 2, No. 15, No. 17, No. 20, No. 35, No. 36, etc. I recommend you get to the south gate, because it is the front gate, and it is good to arrange your sightseeing route in the Temple of Heaven. Through Ticket: 1st April-31th October, 28 yuan per person; 1st November- 31th March: 34 yuan per person. Opening hours: 1st April-31th October 6:00-17:30, last ticket sold at 16:00; 1st November- 31th March: 6:30-17:00, last ticket sold at 15:30. First buy yourself a ticket at the south gate, after your entrance, you can see the Circular Mound Altar is in front of you. The Circular Mound Altar is where Emperors hold sacrificial rituals to worship heaven in the Winter Solstice, and it has buildings like Yuanqiu and Huangqiong yu and side halls. Before you go into Yuanqie, you can see there is a rectangle and a round circle, and each of them has three archways in four sides. Yuanqiu is a three-storey alter with a height of 5.17 meters, and its construction is totally a reflect of traditional Chinese beliefs about heaven and destiny. Huangqiong yu is behind Yuanqiu, and a grandly built circular building, with a height of 19.5 meters and a diameter of 15.6 meters, which is used to house the Gods’ tablets used in the worship ceremony, and it has two side halls. Go inside this building, you can see there are 16 big pillars supporting this building, and it is splendidly decorated with beautiful patterns, like phoenix and dragon. After Huangion yu, you walk through Danbi qiao, and come to Altar of Prayer for Good Harvests. The Danbi Bridge (丹陛桥: Danbi qiao ) is 360 meters long, and 30 meters wide. Altar of Prayer for Good Harvests area has several buildings, and Hall of Prayer for Good Harvests, and Huangqian Hall are the two main buildings. Altar of Prayer for Good Harvests is an altar with three storeys, built in 1420, with a height of 5.6 meters, and a diameter of 91 meters in the bottom, and it is where Emperors hold ceremonies of praying for harvests in early spring. In the middle of this alter stands Hall of Prayer for Good Harvests, which has three eaves . Go inside the hall, you can see 28 nanmu pillars supporting this building, laid in three circles. Four pillars in the inner circle support the first layer of eave, 12 pillars in the second circle support the second layer of eave, and 12 pillars in the out circle support the third layer of eave. Behind this altar is Huangqian dian, which is built in 1420, and houses important worship items. In this area, all plants are platycladus orientalis. Except the central axis, there are some buildings in the east and west of the central axis. Shenyue shu is in the outer altar, west of the central axis, and it exhibits musical instruments used in worship ceremonies and other items related with ceremonial music. In here you can have a direct understanding about music and dance used in worship ceremony. After a tour in Temple of Heaven, you may go to Beijing Zoo, and have a lunch in a surrounding restaurants, then in the afternoon, pandas in Beijing Zoo are waiting for you. If you are having a family trip with children, and don’t plan to go to Chengdu, I recommend Beijing Zoo to you, because of Giant panda. 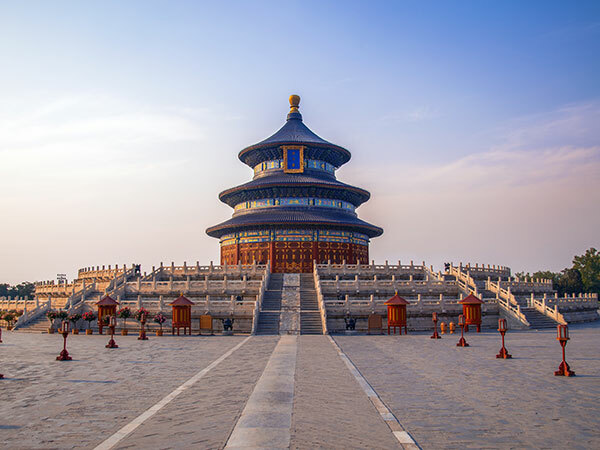 After your tour in Temple of Heaven, you may walk to Tiantan dongmen subway station, take line 5, get off at Chongwen station and transfer to line 2, then you will come to Xizhimen station, and then take subway line 4 and get off at Beijing zoo station. Or you may take a taxi, though it may cost you more. Facts : Beijing Zoo is first built at 1906, and covers an area of 86 hectares, and has enormous animals either in land or in water. The highlight of Beijing Zoo is the Giant Panda house, which covers an area of 10,000 square meters. 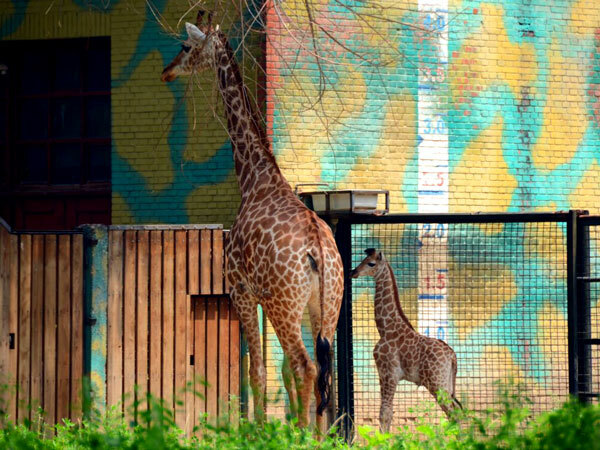 For more information about Beijing Zoo, please visit Beijing Zoo. Go to the Giant Panda house, in here you can many pandas, and each of them has a name. They may be indifferent houses, which are all natural places for panda’s living, with bamboo, trees and grass, and some playing facilities, and pandas have a large area to play and have fun. Though they are in zoo, they are under great care. You may see them are sleeping, they are eating bamboo or carrot, they are strolling, they are playing, they are climbing tree, and you may find that no matter what they do, they are so cute. Go to the Golden Monkey House and in here you can see golden monkeys from Yunnan province, Guizhou province and Sichuan province. This house covers an area of 1,000 square meters, and has mountains and trees for golden monkeys to play and enjoy themselves. Go to the Tiger House, which covers an area of 7800, in here you can see Manchurian tiger and Bengal tiger. After a tour in Beijing Zoo, you may take No. 27 public bus from Xidiaoyutai to Andingmenwai at Beijing Zoo bus stop and get off Liukangpu bus stop, then walk to Bell and Drum Tower. Or you may take subway line 4 and transfer to line 2 at Xizhimen, and get off at Gulou dajie station. Facts: Bell Tower and Drum Tower are two ancient buildings where people give out time point in the Yuan, Ming and Qing dynasties(1271-1912). In the past, drummers in Drum Tower beat the drums at a certain time point, then people in Bell Tower will strike the bell after they hear the drumbeat. There is a working system about when to beat the drums and strike the bell, and how to beat the drums and strike the bell. How to get: public bus, take No. 6, No.107, No. 124, No.734, No. 834, No. 845, No. 819, and get off Zhonggulou bus station. Subway: take line 8, get off at ShiChahai station and get out from exit A2; take line 2, and get off at Gulou dajie station; take line 5 and get off at Xinbeiqiao, and walk to Gulou dajie. First come to Drum Tower, and you can see that Drum Tower is two-storey brick and wood building with a triple roof, and has a height of 46.7 meters. In the first floor, Drum Tower has three arch gates both in the south and north sides, and has one arch gate both in east and west sides. In its second floor, it has the main drum and a group of 24 drums , but it only has the main drum broken by Japanese army when they invaded China. The drum head has a diameter of 1.4 meters in the dream head. In this floor, it exhibits time counters, Beilou(碑漏) and Tongkeloy(铜刻漏). Next , you come to Bell Tower. Bell Tower is a brick building with a height of 47.9 meters. In the second floor, it exhibits a huge bronze bell, with a total height of 7.02 meters and a weight of 63 tons, which is the oldest and heaviest bell existed. In Bell and Drum Towers, you can see exhibitions about bell and drum and through these articles, you can know Chinese bell and drum culture, and how Chinese give out time in the whole city in the past. After a tour in Bell and Drum Tower, you may walk several minutes and come Yandai xiejie hutong, then to Houhai. 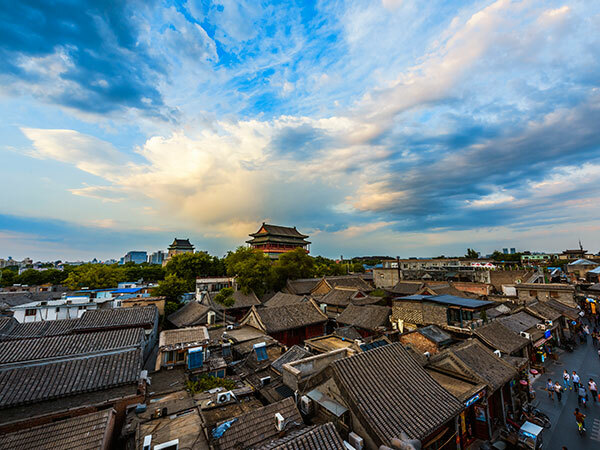 In these two places, you could go shopping in some special stores and handcrafts stores, you could have a leisure time in a café, and have a drink in a bar, or just stroll in the old hutong to enjoy Bejing life. How to plan a trip to Beijing?